Eko Electricity Distribution Company (EKEDC) in a statement released on Monday repudiated the claims made by some communities in the Ilasamaja area of Mushin Local Government in an article titled “Why EKEDC Threw us into Darkness, by Communities” published in the online edition of Newswire law and events on September 3, 2018. According to the report, the Lagos based Utility Company was accused by members of Igbehin, Ifetedo, Ishokan and Ifesowapo communities of Mushin Local Government Area of restricting power supply to the area for three weeks in a bid to force them to pay what they referred to as “outrageous Bills”. The report further stated that the community had refused to pay their bills pending provision of prepaid meters to customers in the area alleging that the utility company has a habit of extorting them through their estimated billing system. According to the EKEDC spokesperson, the company made efforts to restore power to the area but was restricted by members of the community who protested and refused the technical crew access to rectify the fault forcing them to withdraw for safety reasons. He further stated that series of efforts made to dialogue with community representatives to resolve the issue proved abortive adding that rather than embracing they filed a petition against the power distribution company at the Area D Command Police Station in Mushin. 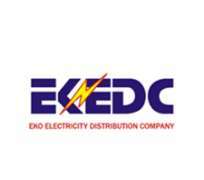 He stated that EKEDC has a zero-tolerance policy against foul play and encouraged customers to assist the company in its fight against unethical activities by using its whistle-blowing platforms. He further stated that the whistle blowing platforms are safe, confidential and secure ways of alerting the company of illicit activities and can also be used to report unscrupulous elements of the company that partake in illegal activities such as fraud and extortion of customers.